In June 2016 After a week of recuperation I have the normal condition, but with great experience. It is a sense of satisfaction and pride. The photos prove that we did the summit of McGoun despite the extra wind. 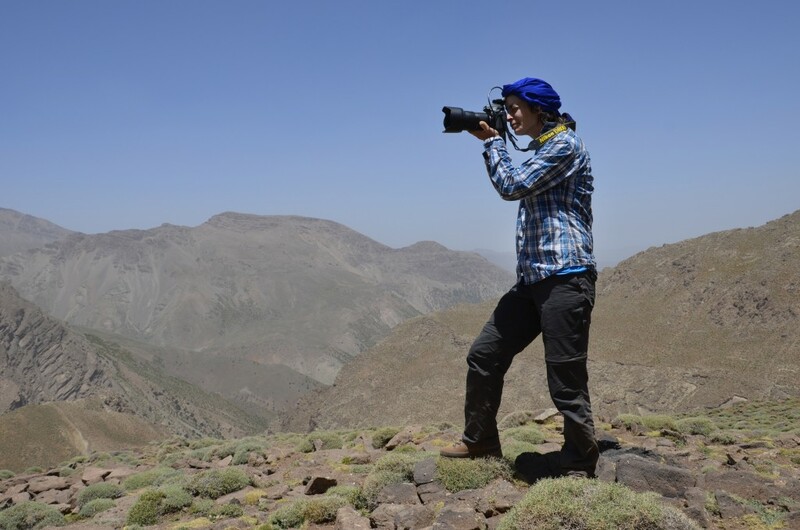 In April 2015, I went on a six day walking-tour with a friend of mine through the Atlas mountains, with beautiful views at the peaks of the Toubkal mountain. A very spectacular tour with many different landscapes. The organization was extraordinary from start to finish. Excellently organized and we are thankful to have really enjoyed our trip. 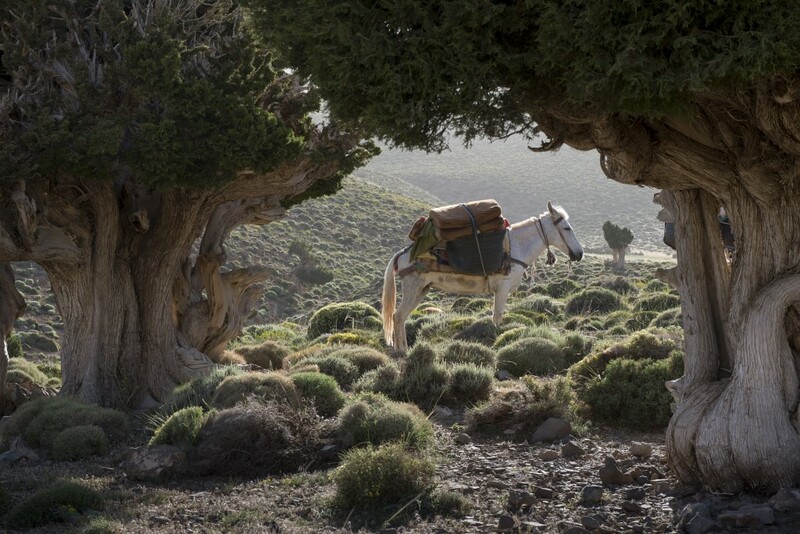 The environment, the delicious meals and the companionship of Ismail, the cook, and the mule driver with his mules. I really enjoyed the serenity of the environment. It felt as if I was drunk on the pure mountain air and the beautiful views. We walked for hours, without seeing any other tourists. Ismail is a friendly, experienced and modest guide. He is respectful to the local nature and is interested in the inhabitants we met on our tour. 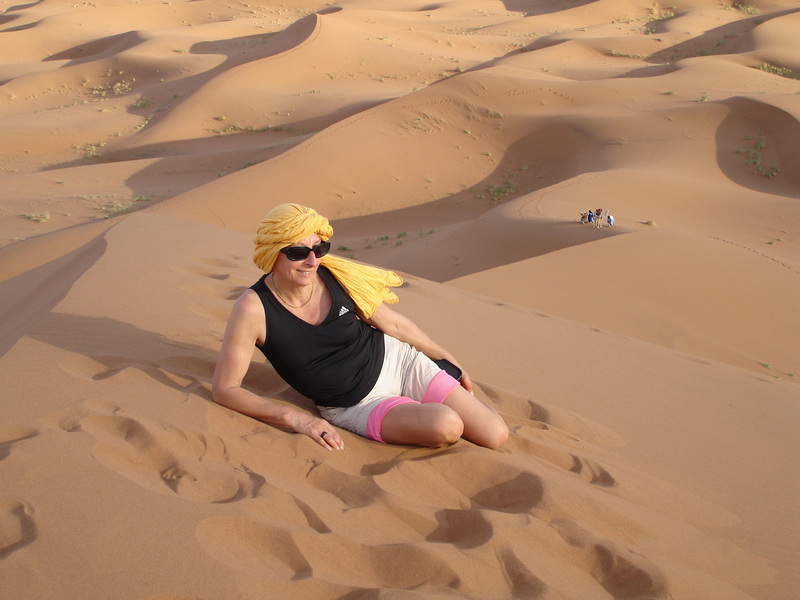 He guided us through the overwhelming landscapes of Morocco. It was a well organized, very pleasant trip. Thanks Ismail, I hope we’ll meet again. 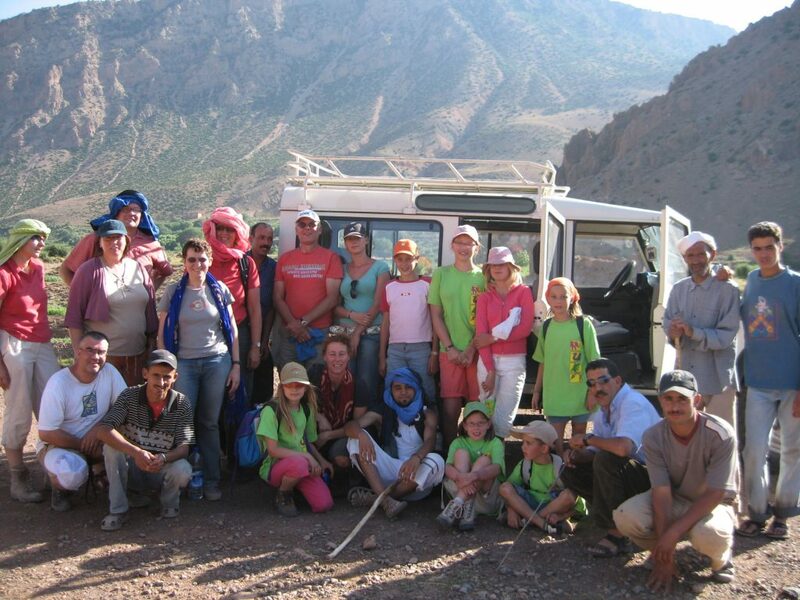 We had an unforgettable trip in the beautiful valley of the Draa. We were warmly welcomed by our guide Ismail who had thought of everything. During our journey through the desert we experienced many climates; rainstorms, sandstorms but fortunately also a shining sun, disappearing behind the dunes. Our confidence in Ismail and his team grew very quickly. In spite of the unforgiving climate, we had a beautiful trip. For the first time in my life I visited Morocco together with my father. We traveled with a group of friends. There were also three other children traveling with us. We walked a lot in the mountains, they were very high. I was allowed to help with the crew, I gave food to the mules, and I helped also with other things I had not yet experienced. We made a fire, I gathered the wood, and now I know how to cook bread outside on a fire place in nature. I played soccer in a small village in the mountains with the local boys. It was really funny, I made some new friends, we couldn’t communicate well but we laughed a lot. Ismail helped me in the beginning to make contact with them. He also joined in on the game. It was really nice to play together. I love Morocco, and I hope to visit again. 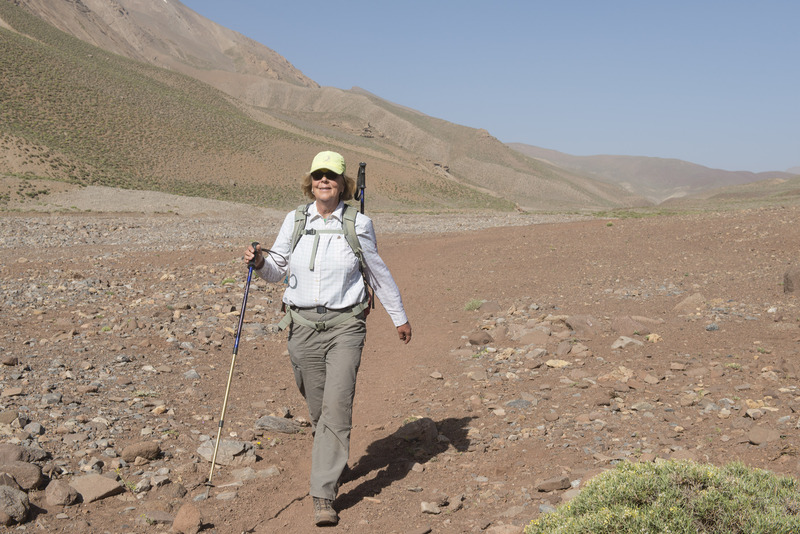 In Mai, June 2014 we departed on a trek with a group of 12 friends into the high mountains of the Atlas in Morocco, organized and guided by Ismail. It was a spectacular trek! Everything was well arranged. Ismail and our transport were ready at the airport. The Riad in Marrakesh, was a delightful quiet spot and we were cared for very well. The trek through the Atlas was without concerns, which really made our trip a pleasure! The introduction to the mules and their mule drivers, and the cook was a special experience. The first day of walking and the surprise of the tea, served at an extraordinary spot, it was as if our dreams came true. 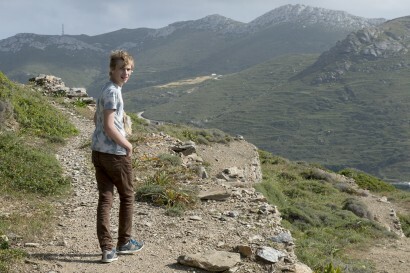 Every day we walked through changing beautiful nature, valleys and mountains. The landscapes changes every turn. But the care of the crew remained excellent. The delightful food, the beautiful camp spots, the tea served when we entered the camp. No concerns of finding our way, even without signs to show us the road, Ismail knew where to go and showed us the special places. In the event of tiredness or accidental injuries we coukd sit on a mule, which I didn’t need but it was a safe feeling that the mules walked with us in case of emergency. This wasn’t a trip to walk without a guide. Paths were really difficult to find. Ismail and crew, again I thank you, and I hope we’ll meet again! When I’m working abroad in a country and culture making a photo report, it is important to meet the right person to help me to find my way around. Ismail helped me as a professional. He showed me things which are familiar for him but special for me as an outsider. Thank you Ismail for your work. Your country, and the pictures I took are forever in my heart.